HomeBlogResourcesMy understanding of Auto-inflammatory vs. Autoimmune: What is the difference? Is Hidradenitis Suppurativa (HS) an auto-inflammatory or autoimmune disease? With current knowledge, HS is considered more of an auto-inflammatory illness. Officially and technically, it has not been classified as an autoimmune disease but patients and doctors alike will commonly use the “autoimmune” term as shorthand, causing confusion and leading to debate between the two. But “autoimmune” has technical requirements that current knowledge about HS does not meet. In this write-up I am going to explain the differences. Auto-inflammatory vs. Autoimmune? They are both are complex and two classifications of immune-mediated disease. They are similar in that they both are a malfunction of the immune system, yet they differ in which part of the immune system is reacting. And understanding the difference may lead to proper, effective treatments and a better understanding of how your body works. They share some characteristics: they start with the prefix “auto” to define a pathological process directed against self; they are immune-mediated diseases. They are characterized by activation of immune system seemingly without cause, and can eventually lead to chronic inflammation in individuals. Nevertheless, the specific effectors of the damage are different in the two groups of diseases: with auto-inflammatory the “innate” immune system causes inflammation, whereas in autoimmune the “acquired” or “adaptive” immune system is responsible for the inflammatory process. I will break it down even further. Auto-inflammatory diseases cause systemic inflammation due to problems in the “innate immune system.” During an auto-inflammatory flare, constant inflammation appears to occur automatically or “on its own” (instead of in response to invading germs or infection) affecting our joints, tissues, organs, every part of us. This auto-inflammation involves the nonspecific “innate immune system” and occurs periodically in some people or chronically (constantly). This causes a disease flare with typical symptoms including fever, skin lesions, joint / muscle swelling and pain, body aches, gastrointestinal distress, overall malaise, and fatigue. Autoimmune diseases involve the “acquired” or “adaptive” immune system, marked by the formation of antibodies that are mistakenly directed against specific parts of the body, leading the body to attack its own tissues as if it were fighting off invading pathogens. Both can show increased production of inflammatory cytokines (for example), however, auto-inflammatory illnesses (unlike classical autoimmune diseases) shows little to no evidence of specific adaptive immunity such as auto reactive T cells, lymphocytes and auto antibodies. In a nutshell, auto-inflammatory is “innate” immune system where autoimmune is “adaptive” immune system. 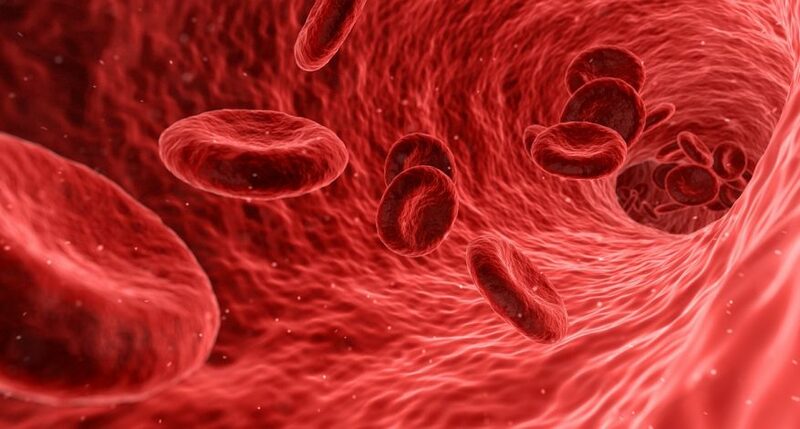 There are not a lot of diagnostic tools for auto-inflammatory other than elevated inflammation markers such as high white blood cell count, C Reactive Protein, etc. Because, unlike autoimmune, where ANA and antineutrophil are typically present, these antibodies are not present in blood work with auto-inflammatory illnesses (unless you have an autoimmune illness along with HS). The spectrum of auto-inflammatory disorders continues to expand and even some autoimmune illnesses are being reclassified in the auto-inflammatory category. As I have mentioned, Hidradenitis Suppurativa is currently considered more of an auto-inflammatory illness. Researchers have searched for antibodies and other signs of adaptive immune system involvement, but have not found anything thus far. And this can also explain a lot for us, from our elevated inflammation blood markers, low-grade fevers, and widely reported fatigue. With that said, never assume every ailment and every symptom is HS related. Always listen to your body and make sure other things have been ruled out, especially if it’s a new symptom(s) or an going debilitating symptom(s). Research acknowledgements:NCBI.GOV, MDedge, Frontline Medical Communications Inc., and The autoinflammatory alliance. Denise has been a patient for 40 years and HS advocate for 27 years. Today, her focus is on supporting patients in her Facebook group, "Hidradenitis Suppurativa Support - Unique Fun Facts" and "Hidradenitis Suppurativa Humira & Other Biologics"
Amazing article! I’m so proud of you!